Wonderful cover of this Belgian comic magazine. 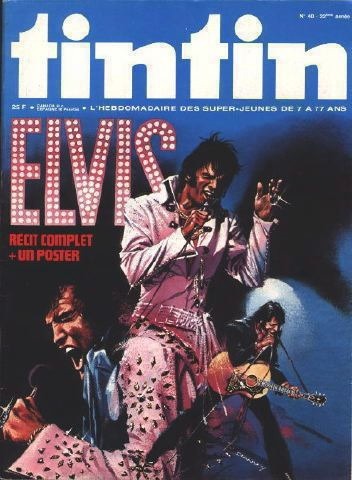 The comic strip inside is, in fact, an Elvis biography! This illustration was also used for the very rare promo CD Moody Blue.